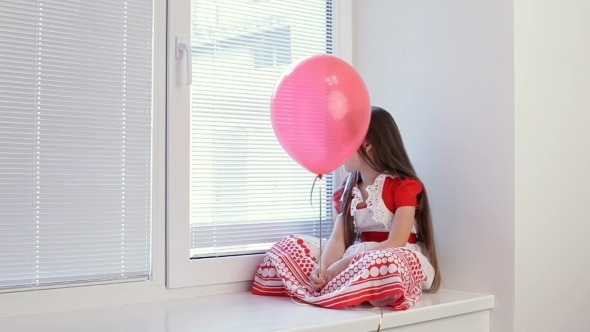 Portrait of a little girl sitting on the windowsill holding a pink ball and looking through the window bored. Girl is waiting for her boyfriend in the night city lights. Downtown city atmosphere with traffic lights from the road near by.